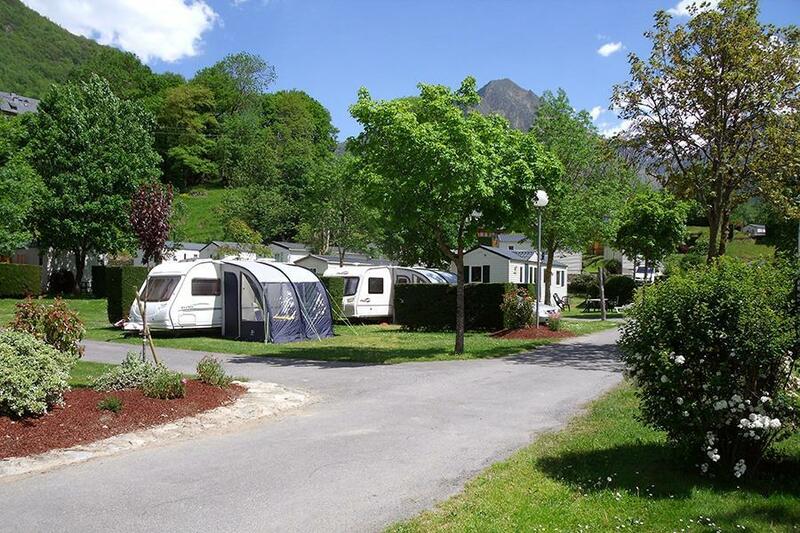 Auf Camping Airotel Pyrénées in Luz-Saint-Sauveur (Hautes-Pyrénées) campen Sie mit der CampingCard ACSI in der Nebensaison schon für €16,- pro Nacht. Auf einem der 66 Tourplätze verbleiben Sie im Zeitraum 03-05-2019 - 30-06-2019 und 26-08-2019 - 21-09-2019 mit Rabatt. Auf diesem Campingplatz wird außer der CampingCard ACSI auch die ACSI Club ID (Legitimationsersatz) akzeptiert. Sportiver Campingplatz. Viele Fitnessgeräte, Sauna, Hallen- und Freibäder. Rafting und Rad fahren. Multisportgelände. WLAN auf dem gesamten Gelände. The site is was very quiet when we visited as it was due to close shortly. Walking distance into town and with fabulous views. The pitches are flat with varying shade and the toilet block is excellent with both loo seats and loo paper. The campsite is in a beautiful position. The pitches are big and the site is very well kept. The staff are helpful giving directions to places to see. The campsite is in walking distance of a lovely town with quite a few restaurants and bars and there is a carefour supermarket within walking distance. If you like cycling then this would be a great base. Excellent site for Gavarnie trips, although for us, in a Motorhome , the site was too far to walk to the local town of Luz. That said, who would worry, when you have views and facilities such as this. We drove to Gavarnie, and it was beautiful . In hot weather ....go mornings. The toilet and showers, coupled with the indoor pool were the highlights of the trip. Better than a five star as far as we were concerned. Pitches below the kids playground are are best for views. CampingCard ACSI schickt Ihre Info-Anfrage an "Camping Airotel Pyrénées" durch.